Subaru is recalling certain model year 2012 Outback and Legacy vehicles manufactured from April 6, 2011, through May 12, 2011. The moonroof glass may come loose or detach. The amount and position of the adhesive between the glass and retainer was inadequately applied. Got a lemon Subaru Outback or a lemon Legacy? 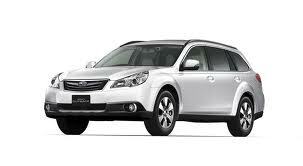 Want a new Subaru Outback or your money back?